On today’s podcast my guest is Linda Stacey, CFE. 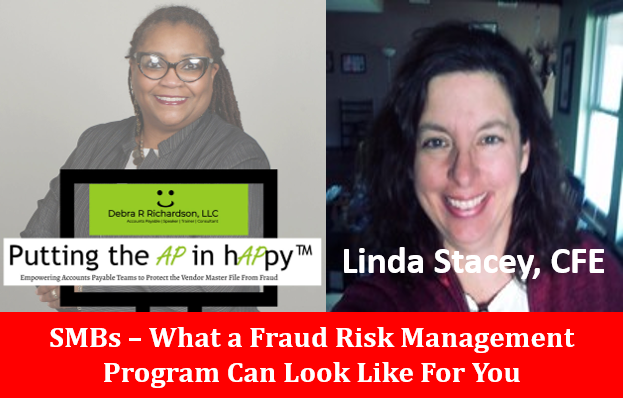 Linda is a Certified Fraud Examiner that was a guest blogger this week with the blog “SMBs - Why You Need a Certified Fraud Examiner (CFE) and a Fraud Risk Management Program” published on Thursday, January 10, 2019 at www.debrarrichardson.com. 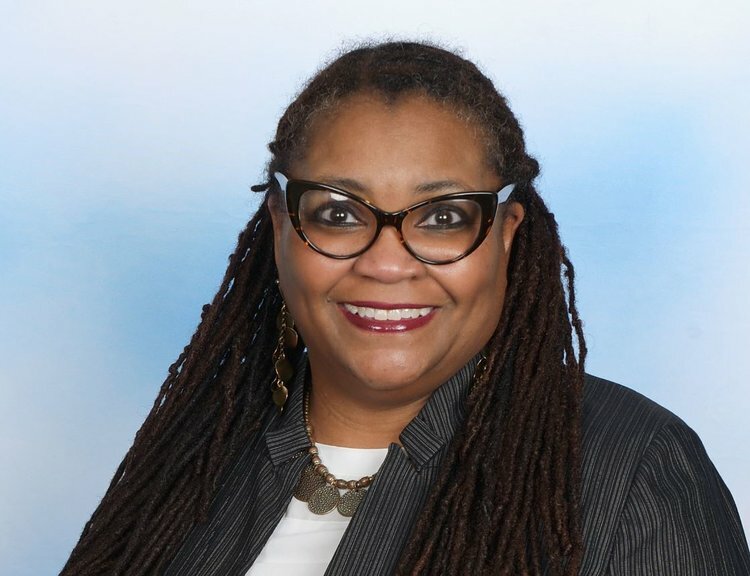 She is here to go into more detail on the Fraud Risk Management Program which includes the Association of Certified Fraud Examiners ACFE’s Fraud Risk Assessment and the Fraud Prevention Checkup. Don’t miss out on the special discount and a chance to win a “Putting the AP in hAPpy” coffee mug at the end of the interview.